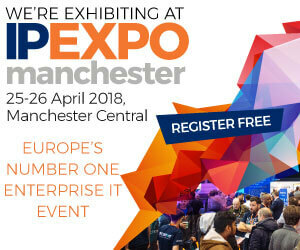 We are exhibiting at this year’s IP Expo Manchester on 25th-26th April 2018 at Manchester Central. We are there to discuss your IT infrastructure requirements; whether public, private or hybrid, along with ‘How storage is evolving’, ‘Why businesses are demanding high availability’ and ‘Why companies are benefiting from our Cristie Cloud solutions’. Cristie and our valued stand partners Dell EMC and Arcserve look forward to seeing your there! Cyber Hack, see how criminals break into corporate networks and the steps you can take to prevent them. GDPR – Is your organisation ready for GDPR and how it effect you? and many other free educational seminars by some of the worlds industry experts. Register for free with Cristie Data.